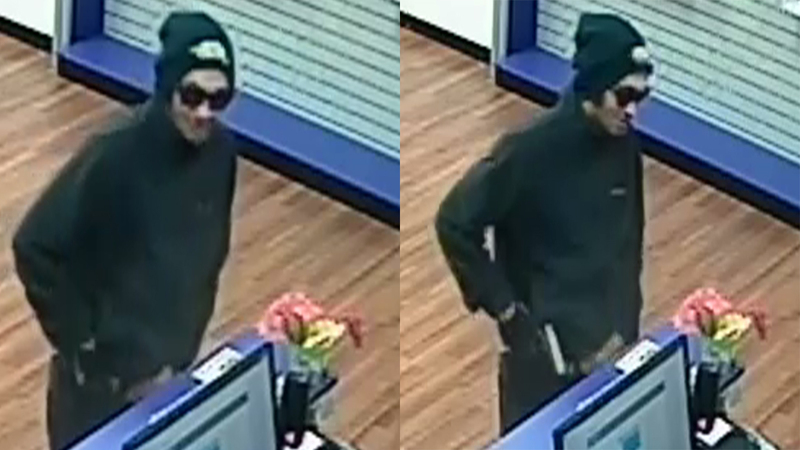 FAYETTEVILLE (WTVD) -- Police are searching for the man accused of robbing a Fayetteville business Tuesday evening. Around 5:15 p.m., officers were called to the Metro PCS in the 8100 block of Cliffdale Road. Reports show the man walked into the business and approached the owner at the counter, displaying a handgun and demanding that the owner give him money. He is described as a white male in his 20s or 30s. He was wearing dark clothes, sunglasses, and a hat.